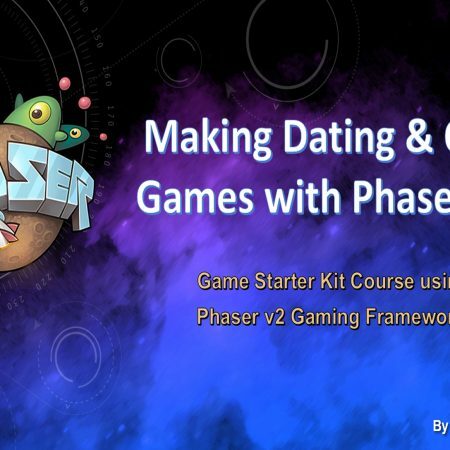 A Phaser3 Starter Kit Tutorial for “Jump To Capture” Game Mechanics. Discover how to create online “Jump To Capture” and “Peg Solitaire” games using the methods in this game design course. 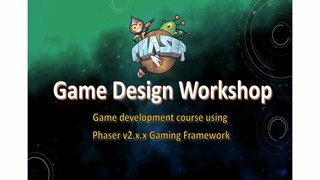 When you finish this course, you will have a production pipeline to create as many different Phaser games as your imagination can dream of! 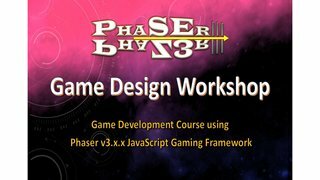 This course is based on the popular Phaser III Game Design Workbook and Phaser III Game Prototypes; both are available as a separate bundled set. You’ll also get bonus download examples, source code, abridged references on how to do every single thing in this course, so you can mimic these lessons into your own game design and then modify your game resources for your own purposes. I would like to guide you in creating several game mechanisms that typically appear in all games. You can combine these game mechanisms to support your game mechanics. By the end of this tutorial, you should have a fully functional game using your own gaming assets and, more importantly, a collection of code “snippets” to use in further game production. There is a supporting website where you can download the bonus content included with your course purchase. BGPPS-2.3 Step 2. Create your standard game shell scenes.